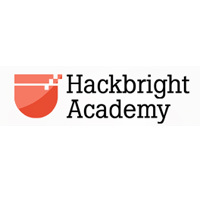 San Francisco – based Hackbright Academy Programming Fellowship a 10 week Python programming boot camp designed to help women become awesome programmers. We teach the fundamentals of modern web development, then introduce you to Silicon Valley companies looking to expand their engineering teams. There a couple of opportunities to receive discounts or do the program for free. Hackbright Academy also offers a payment plan, with interest, for those who cannot afford the cost of the program up front. Currently, Hackbright Academy is accepting applications for future classes. If you are interviewed and admitted, the student can pay $10k up front for tuition. If the student needs a finance plan, it’s $6k up front and $7k paid over 18 months after completion of the program (that’s $13k). If hired by a partner company, student is reimbursed $4500 of tuition.